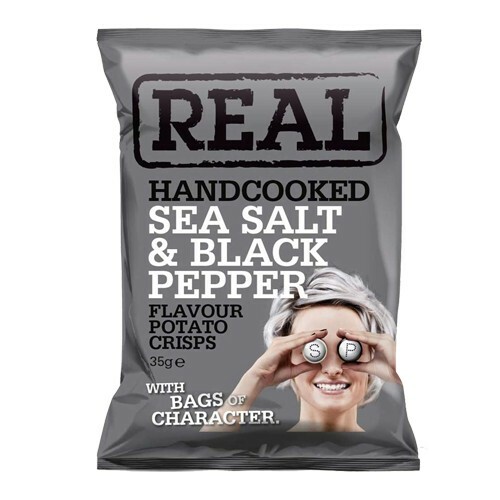 Real Handcooked Sea Salt & Black Pepper. The BAG with a bit more character. MEET MISS FLAVOURSOME. Salt 'n' Pepper to year seven - This one's in a 'REAL' class of her own. A Duchess amongst dinner ladies, she doesn't stand for any monkey business as she keeps a watchful eye on the goings on in the playground. She's no plain Jane though - the old girl's crackers! She'd shout at a circle because it wouldn't get in line.